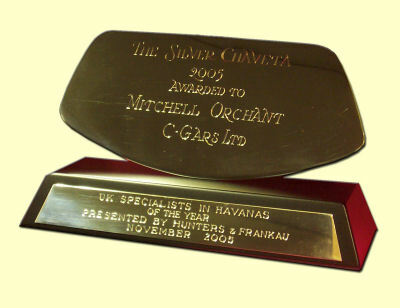 Hunters and Frankau, the UK's sole distributor of Havana cigars, held their annual awards dinner at Sartoria in Londons' Saville Row. Attended by the top brass at Hunters & Frankau including Simon Chase, John Darnton and Ana Lopez as well as my dear friend Ken Brealy. Excellent champagne accompanied with Trinidad Coloniales, Robusto Extras and Cuaba Diademas were enjoyed over the course of the evening with a delightful meal. We spent the evening discussing the challenges and opportunities facing the cigar industry in the UK due to impending legislation over the next year and beyond. 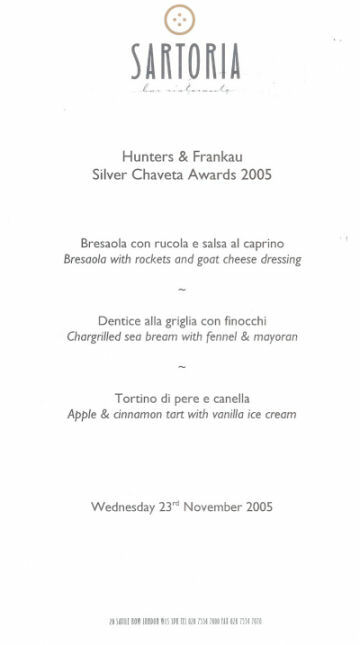 I am very grateful to Hunters and Frankau for awarding me the Silver Chaveta as well as kindly inviting me to be their guest at the Festival del Habanos 2006 in Havana. The beautiful Silver Chaveta was designed by Theo Fennell and is now proudly on display in our London offices. 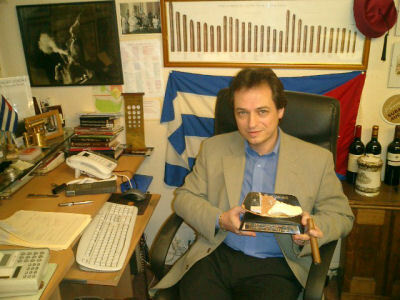 Thanks to all of my loyal customers and of course my dedicated sales teams at C.Gars London as well as our retail cigars shops without whom I would not have won the award.